We previously discussed that Arduino has no Programming Language of it’s own. Arduino Basically For the Advanced Hobbyists. It Does Not Take Much Time to Learn Basic C, C++. But Again, How to Learn Arduino Programming So That Others’ Projects Can Be Improved OR Own Idea Can Be Realized? Arduino is an open-source prototyping platform for the makers, artists, designers, hobbyists, or anyone interested in creative things. Depending on the person’s need, amount of learning should be directed. We are explaining basics and providing some resources. How to Learn Arduino Programming? The language Arduino uses is like C++, but it is very different from common C++ as Arduino uses abstraction to make it simple to use. A background of Java, C and C++ will make advanced uses easy. Arduino IDE uses GCC compiler and avoid makefile, obviously it supports C++. The directories named like “core”, the libraries are C++. Knowing about C++ programming includes learning basic loops, declarations,functions, classes and so on. C++ takes about 2 weeks to get used, know about setup, loop, basic commands specific or non-specific for Arduino like pinout, pinin, analogout, digitalread, digitawrite, analogread, analogwrite and so on. Every snippet or code of Arduino is called sketch. Each sketch has two void functions – setup() and loop(). Commonly void type function itself returns no value. if(stateButton == 1 means button is pressed. Arduino official site has good number of user created documentation, examples. This Article Has Been Shared 2217 Times! Which Size of Battery to Choose For Electronics Works Among AA, AAA, D, C Sizes? All are of 1.5v but there are matters which need calculation. Here is Basic Information Around Mechanical Counter for Arduino as They are Difficult to Find Outside Industrial Usage. They Can Be Stepper Motor Counter With or Without Reset. 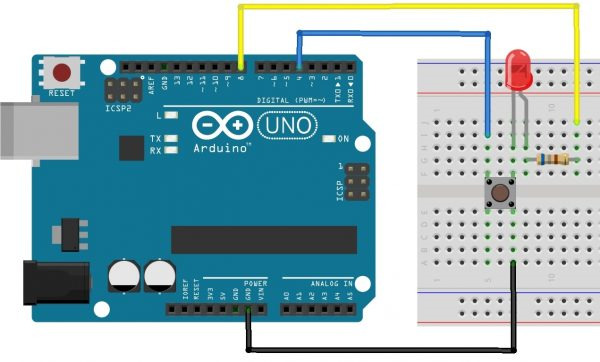 Cite this article as: Abhishek Ghosh, "How to Learn Arduino Programming," in The Customize Windows, May 27, 2018, April 21, 2019, https://thecustomizewindows.com/2018/05/how-to-learn-arduino-programming/.